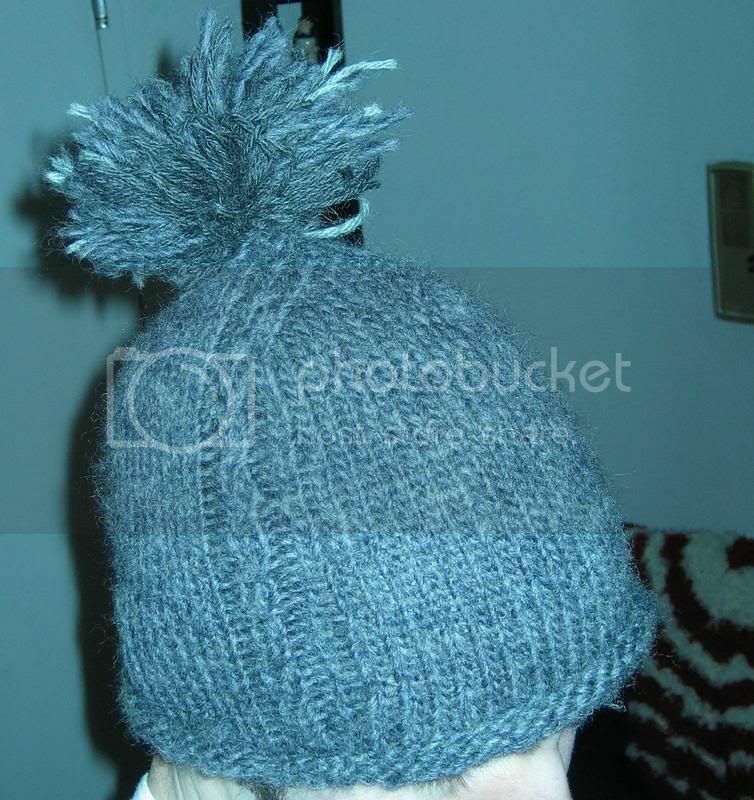 so i found some grey yarn and wanted to make a hat. it was a nice chunky one that seemed to have a nice blue/white shimmer to it. so i picked up my handy size 10s and went crazy. 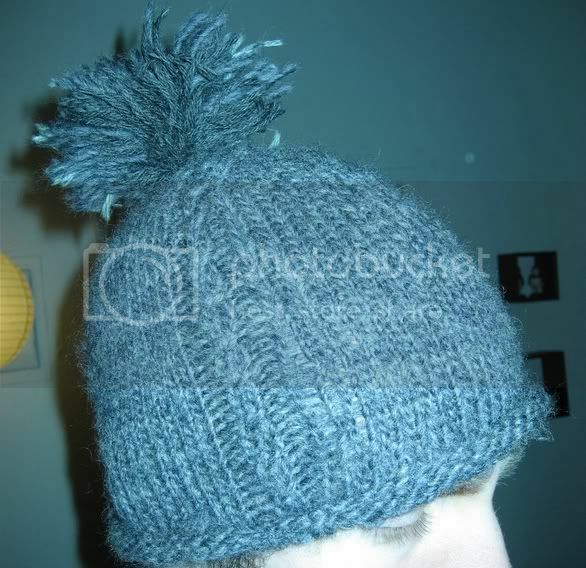 i wanted to make a plain hat with just one cable on it. for a little pizzazz. i was a little unsure of the pompom. they are always ridiculous. 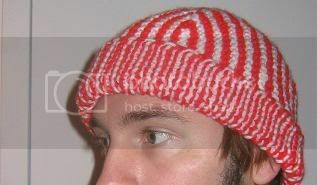 but i had planned on wearing this hat with my stripey scarf, and wanted it to match better. the best route to this goal seemed to be through whimsy. what do we think? RTw: K second st on left hand needle then K first st and slip both loops off together. Ponpons and stripes .. yup, whimsy. looks like it coordinates well. 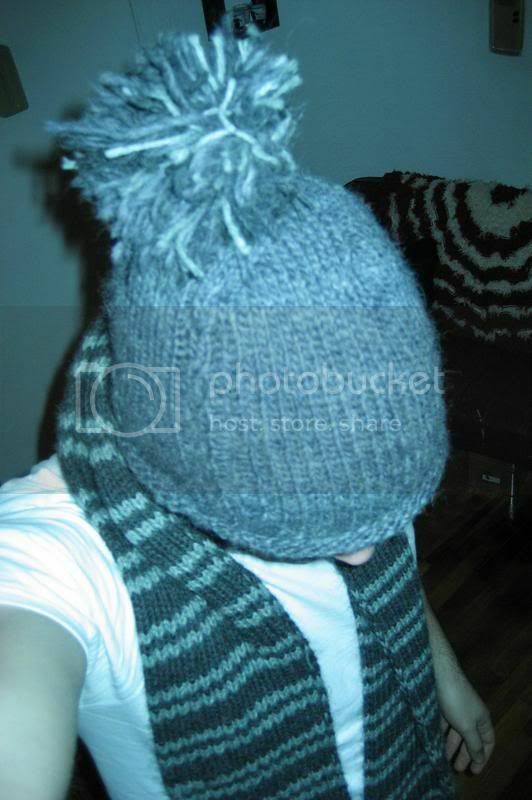 does the scarf have tassels? 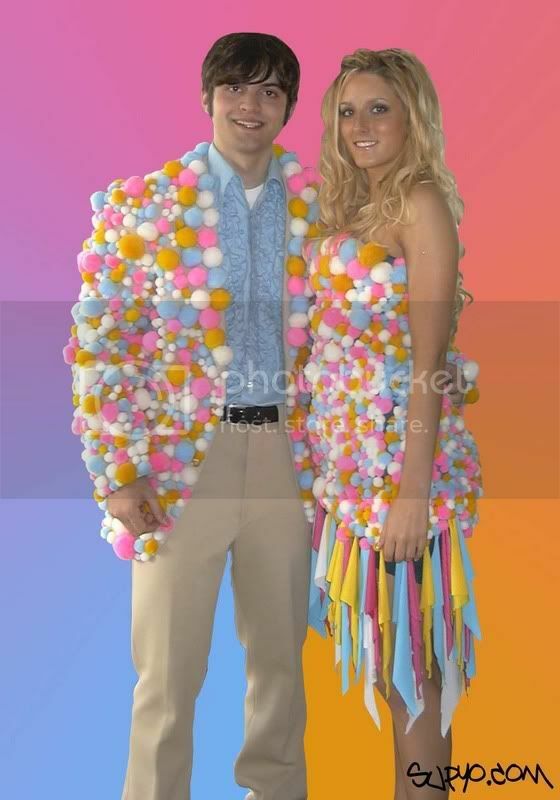 That pompom is manly and bold. Nice work! Oh my goodness! I can't believe you linked to a JEM doll. I freaking loved that show when I was a wee lass! i wussed out and cut off the pom pom. it was a bad, bad pom pom. and kept falling apart.